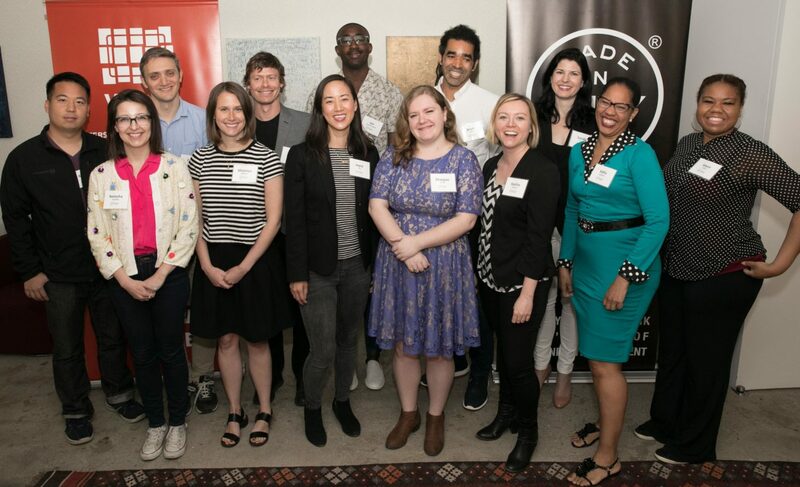 The Made in NY Writers Room (the “Fellowship”) provides emerging television writers, who represent diverse backgrounds and lack access to the industry, with six months of intensive early-career training. Up to 12 writers or writing teams will be selected for the paid fellowship that includes monthly one-on-one mentorship sessions with television showrunners, ongoing roundtables with other writers and industry executives, ongoing career development resources and trainings, and the opportunity to build a refined portfolio of at least two sample scripts. The goal of the Fellowship is to increase diversity in the pipeline of NYC-based television writers and the number of shows written in the city. The program, conceived by Lowell Peterson, executive director of the Writers Guild of America, East, is a partnership of the WGA East, the New York City Department of Small Business Services and the City of New York Mayor’s Office of Media and Entertainment. Each year, we work with New York city-based showrunners to help mold the careers of our fellows and guide their writing processes. 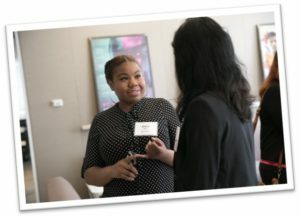 Participating mentors have linked fellows to meetings with agents and development executives, introductions to industry peers and employment. Past mentors include Robert Carlock (UNBREAKABLE KIMMY SCHMIDT), Lee Daniels (EMPIRE), Anya Epstein (THE AFFAIR), Julie Klausner (DIFFICULT PEOPLE), Richard LaGravenese (THE DISTRICT), Michael Rauch (INSTINCT), Julie Rottenberg & Elisa Zuritsky (ODD MOM OUT), Tom Scharpling (MONK), Norman Steinberg (CHEMISTRY), Jonathan Tropper (BANSHEE), Matt Williams (HOME IMPROVEMENT) and Beau Willimon (THE FIRST). We seek to engage writers who are committed to careers in television and reflect voices that are underrepresented in our industry. We prioritize writers who lack access to the relationships that propel hiring and greenlighting within the television writing community. With the help of partner organizations who work with early-career comedy and drama writers, we attracted nearly 500 applications in the first year of the program. Our initial cohort of fellows ranged from first-time writers with breakout pilots, to television writers who earned their first credit and still needed direction in navigating the business. Get to know about their backgrounds and projects here. The Made in NY Writers Room is specifically for television writers who are residents of New York City. The application cycle for the 2018-2019 Made in NY Writers Room closed in December 2018. You can learn about the past application requirements here: Fellowship Guidelines. Announcements for the next cycle will not be provided until 2020. Department of Small Business Services (SBS): The NYC Department of Small Business Services (SBS) helps unlock economic potential and create economic security for all New Yorkers by connecting New Yorkers to good jobs, creating stronger businesses, and building thriving neighborhoods across the five boroughs. Mayor’s Office of Media and Entertainment (MOME): The Mayor’s Office of Media and Entertainment encompasses the creative sectors of film, television, radio, theatre, music, advertising, publishing, and digital content. In total, these industries support 305,000 jobs and contribute $100 billion to New York City’s economy. The Agency also oversees NYC Media, the City’s official broadcast network with five television channels, one radio station, and a reach of 18 million people. MOME also houses the Office of Nightlife, which was created in 2018 to serve as a liaison between the nightlife industry, city agencies and residents. Writers Guild of America, East (WGAE): The Writers Guild of America, East, (WGAE) is a labor union of thousands of professionals who are the primary creators of what is seen or heard on television and film in the U.S., as well as the writers of a growing portion of original digital media content. Our members write everything from big budget movies to independent films, late night comedy/variety shows to daytime serials, broadcast and radio news, web series, documentaries, and animation. The WGAE works on their behalf to promote and protect the professional and artistic interests of this diverse community. On joining the Guild, writers from an extraordinarily vast range of backgrounds and abilities unite to promote, protect, and maintain important artistic and professional principles. The Guild’s assistance is provided regardless of the writers’ degree of success. Notifications for 2018-19 application cycle will be sent in April 2019.